PLATTSBURGH — A year ago, the newly formed Saranac Lake Placid girls high school hockey team advanced all the way to the Section VII championship game, where it was dealt a heartbreaking 1-0 loss by Beekmantown in a contest where either squad could have been the winner. 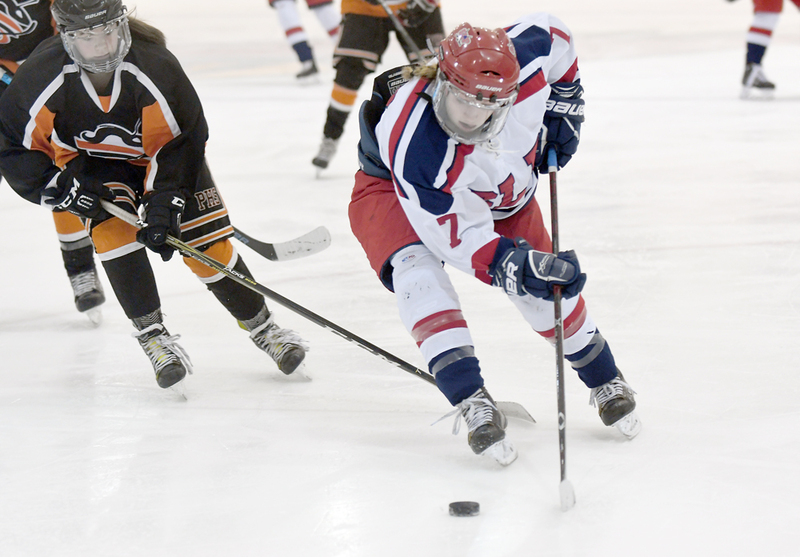 This winter, SLP marched right back to that game on Sunday to face Plattsburgh, and this time around, the result was similar with one exception. The Hornets were clearly the better team. With a trip to the state final four in Buffalo on the line, Plattsburgh scored a goal in each period and played shutout hockey at the other end of the rink to claim a 3-0 victory over SLP. Avery Holland scored twice, Taylor Hackett added a goal and an assist and Ava Julian stopped all 24 shots she faced to earn the shutout victory in goal for Plattsburgh, which will next face Skaneateles in a state championship semifinal game Friday at the Harbor Center. As the regular season champions, SLP entered the final as the top seed but struggled to match the intensity of the Hornets in what was the rubber match between the teams this winter. They both won once on home ice, but SLP faced a much-improved opponent at SUNY Plattsburgh’s Stafford Arena. 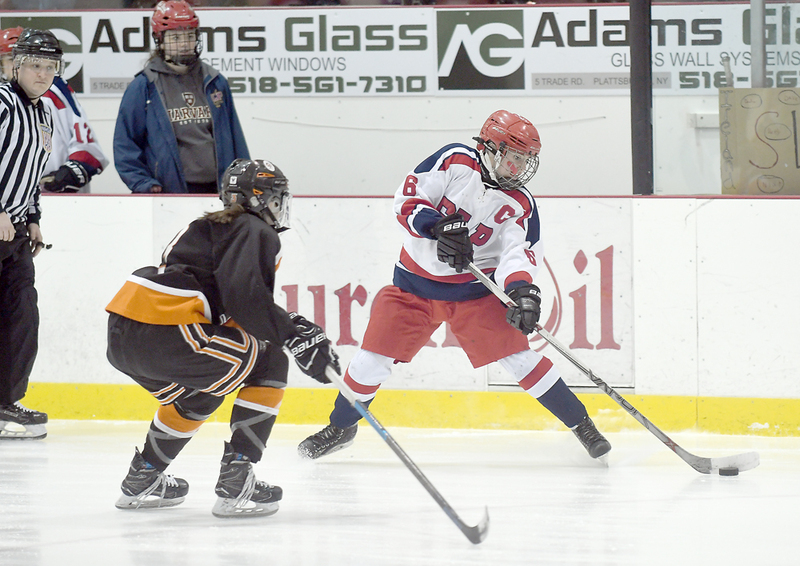 Two of Plattsburgh’s goals came with traffic in front of the SLP net guarded by seventh-grade goaltender Olivia Ferebee, and the Hornets other tally came off a play that began in their own end of the rink following a faceoff. Holland, a freshman, put Plattsburgh on the board with the game’s first goal at the 10:01 mark of the first period on a shot from in close off an assist from Abby Boule. Holland’s first goal proved to be the game-winner, but the Hornets were able to bury two more pucks to really turn up the pressure. Plattsburgh’s next goal came with just 1:02 gone in the second stanza when Hackett quickly gained control of a puck sitting in her team’s defensive zone’s left faceoff circle, and sent a pass to Holland, who then took off along the boards, skated in alone on Ferebee and top-shelved a wrist shot into the right side of the net. 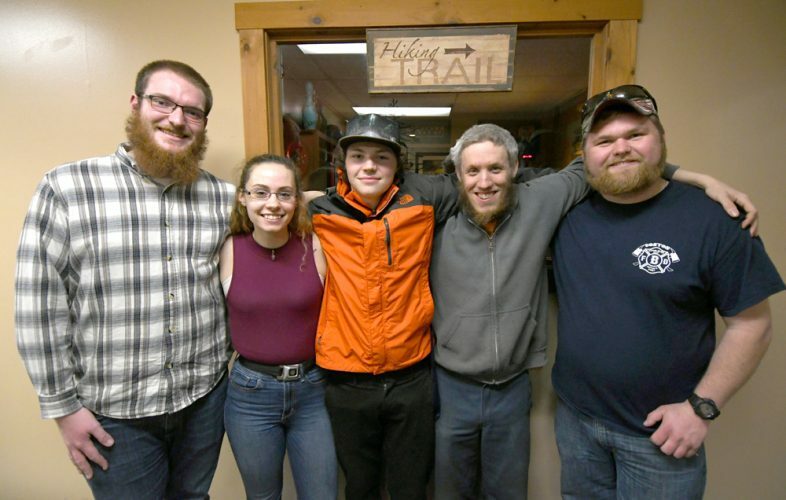 Hackett, a senior who actually played for the Lake Placid girls high school team two years ago prior to the SLP merger, then sealed the victory, scoring midway through the third period to make the contest a 3-0 final. On the play, Hackett picked up a loose puck in front of the SLP net after the defense failed to clear it from danger and slid a backhander through the pads of Ferebee. SLP certainly had opportunities to score, but came up empty every time. Three of those chances turned out to be shots that rattled harmlessly off the crossbar, and another one was a breakaway by league MVP Lydia Bullock in the second period that was gobbled up by Julian. SLP finished with a 24-22 edge in shots on goal. Plattsburgh head coach Jamie Reidy said about a month ago, his young team shifted gears when it came to training, and said it’s paying off as the Hornets have now won five of their last six games. With a Section VII title now in hand, Plattsburgh carries a 12-7-2 record into the state semifinal round where it looks to avenge an 8-0 loss to Skaneateles, which took place back on Nov. 24. After losing just one league game on the way to winning Section VII’s regular-season title, SLP will now have to wait another year for another opportunity to chase down a coveted playoff crown. However, if that happens, it will be without the team’s four seniors — captains Lea Hill and Makeda Thompson, and Jillian Duffy and Meghan Byrne — who played in their final high school game on Sunday. SLP finished its season with an 11-9 overall record.